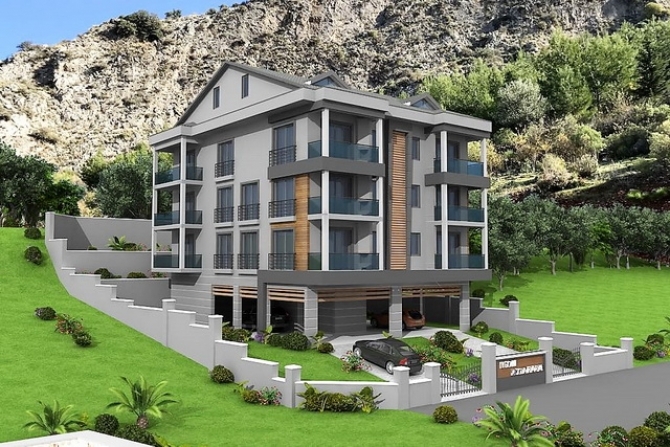 This is a brand new apartment block and is located in an area called Ahat in Fethiye, at an elevated position with beautiful sea and mountain views. 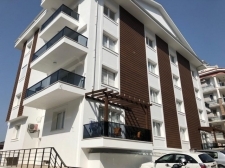 With seaviews starting from 2 +1 300,000TL , back apartments mountain views 260,000TL, 3 +1 1st floor/attic duplex back - 450,000TL , seaview front 475,000TL. Includes lifts to all floors and covered carpark. 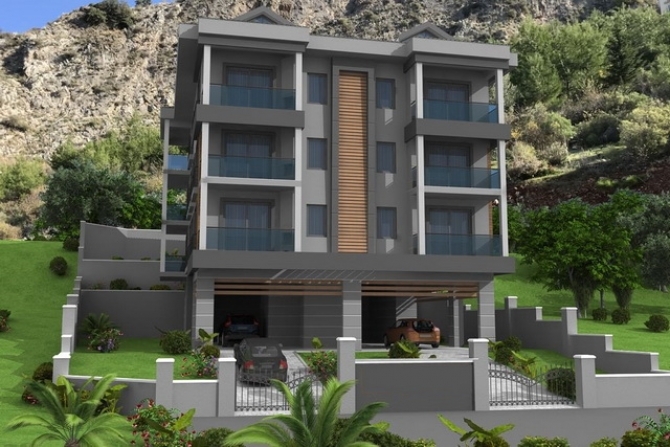 As you enter the apartment into the large open planned lounge, dining area with fitted modern kitchen. 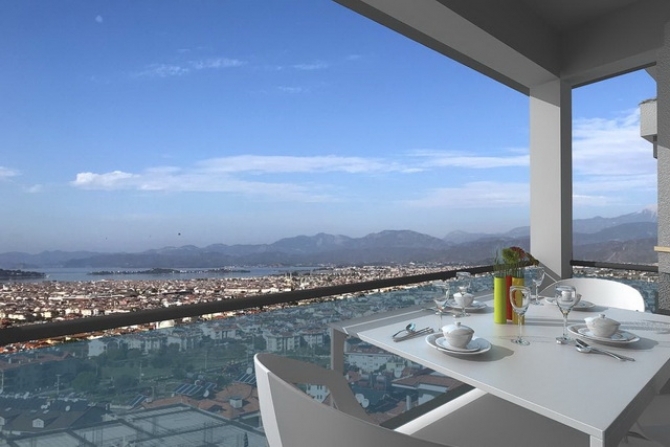 The lounge is bright and airy with access to the main balcony through patio doors, front apartments have stunning views of Fethiye Town. 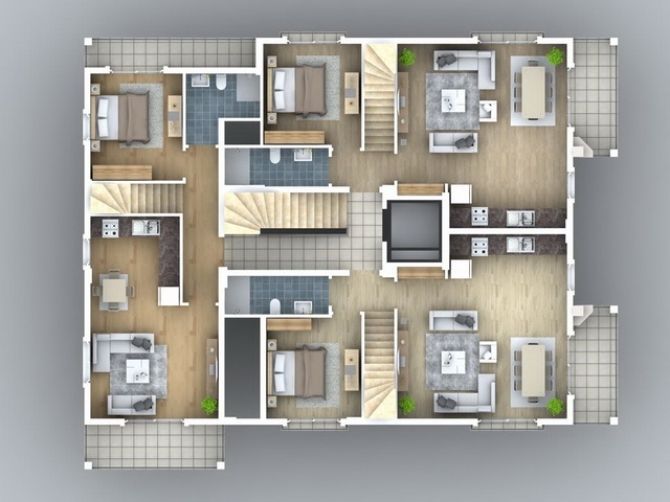 There are two double bedrooms on this floor one with a balcony and a family bathroom. 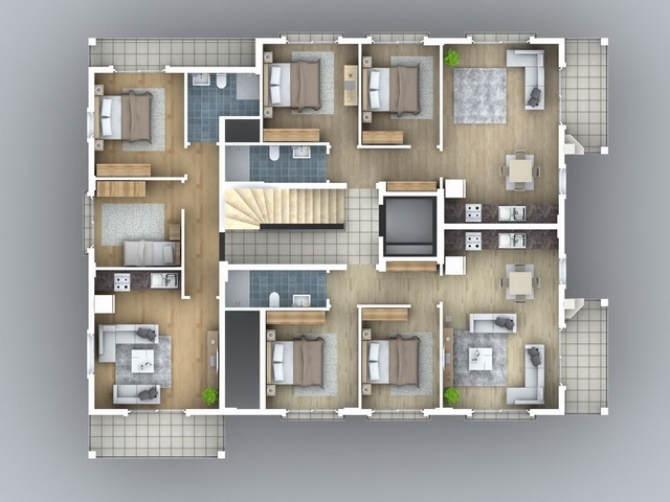 The Duplex apartments on the 2nd and attic floor have just one double bedroom and then a further two double bedrooms and one shared bathroom, on the upper floor . All bathrooms are finished with showers which have glass cabins and vanity units. 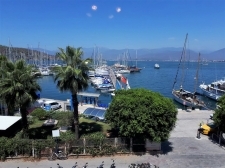 Located just outside of Fethiye Town, but with easy access to the town by the local bus service, also just being a 10 minutes by car to the lively village of Hisaronu and the beautiful famous Oludeniz resort.